Four gospel groups will perform Saturday night, Nov. 10, when Paul Belcher Presents the Battle of Songs in Memorial Auditorium. Doors open at 5:30 p.m. for the 6:30 show. This marks the 46th year that Belcher has been promoting gospel concerts. » Jordan Family Band will open the gospel singing. The group consists of Josh and Randa Jordan and their sons, Hutch, 18; Alex, 13; Grant, 10; and Keenan Atkinson, 20, a family friend. Last year was a breakout year for the JFB. Following the success of more than 18 million social media views on Facebook, YouTube and Instagram, the family released their first recording, which climbed into iTunes Top 10 Christian albums chart. The album, "Joshua 24:15," debuted on the Billboard Christian chart at No. 12. » The Guardians are Neil Uhrigm, John Darin Rowsey, Dean Hickman and Pat Barker. 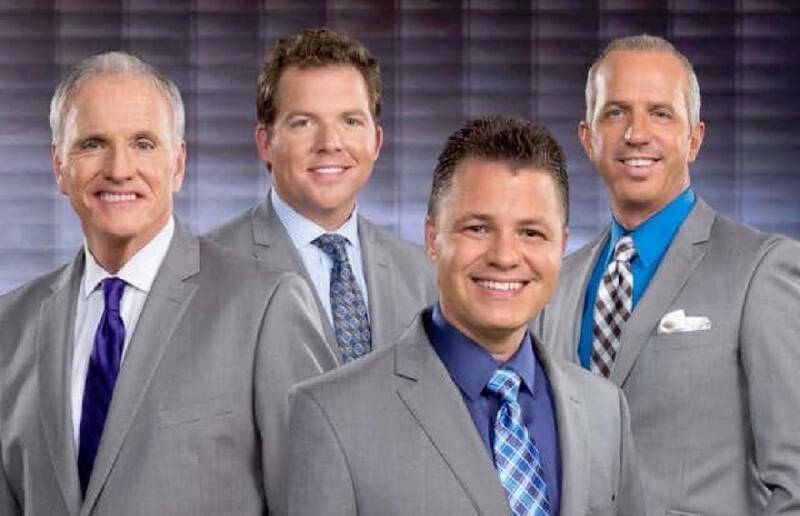 The quartet has a string of Southern gospel hits to their name such as "Packin' Up," "Shoutin Sounds," "Somebody Prays" and "Present in the Presence of the King," which reached No. 1 in March of this year. The quartet is marking its 30th anniversary this year. » Family group The Hoppers has been singing to global audiences for more than 60 years, including appearances at presidential inaugural events. They've had recordings land on Billboard and Singing News radio charts. Nicknamed Ameria's Favorite Family of Gospel Music, they are frequently seen on Gaither Homecoming videos and tours. The singers are Claude and Connie Hopper, son Dean and wife Kim, and son Mike Hopper. Connie is a cancer survivor who has been honored with the prestigious Marvin Norcross Award and inducted in the Southern Gospel Music Hall of Fame. 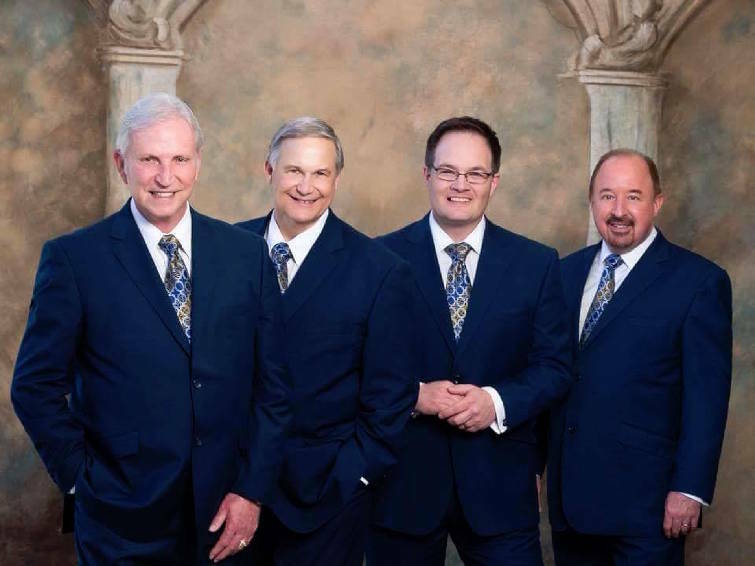 The Hoppers were inducted into the Gospel Music Association Hall of Fame in 2012, named Singing News Favorite Mixed Group 12 times, and Southern Gospel Music Association Mixed Vocal Group six times. » Closing out the concert will be Triumphant, which has won Singing News Quartet of the Year nine times. Triumphant won five of the 2018 Singing News Fan Awards: Favorite Bass Singer for Eric Bennett, album, song, favorite traditional quartet and favorite artist. In addition to Bennett, the remainder of the quartet is David Sutton, Clayton Inman and Scotty Inman. The quartet is marking its 15th anniversary this year. They've had six No. 1 songs, five Albums of the Year and four Songs of the Year.